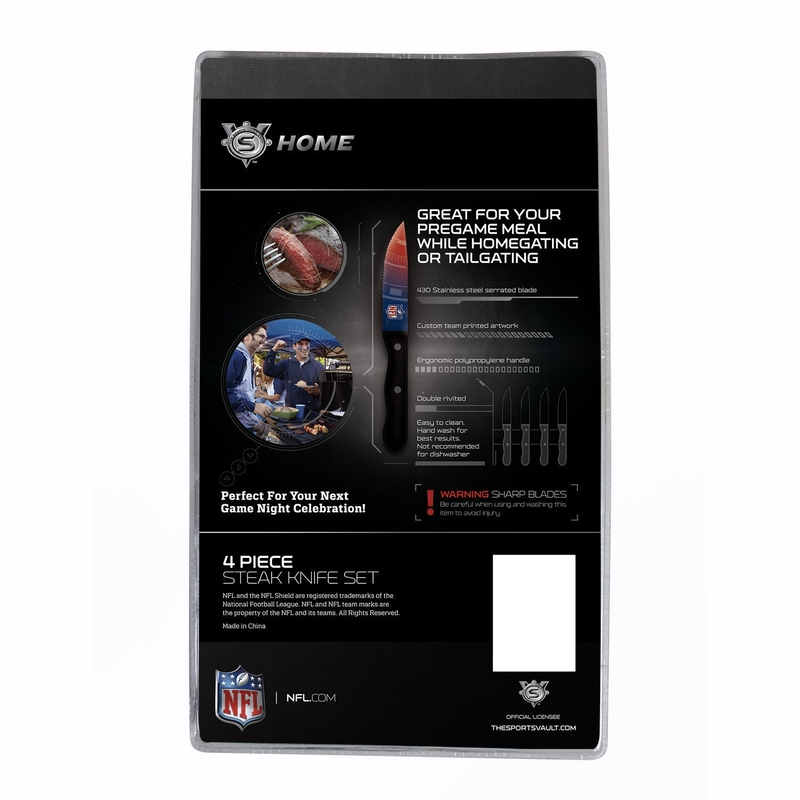 Score big with all of your friends with the Cincinnati Bengals Steak Knives Set of 4. This Nfl officially-licensed flatware features handles wrapped in the Bengals color scheme and blades embroidered with iconic Bengals artwork. Each knife is dipped in surecoat to ensure the brilliant colors last for as long as possible. 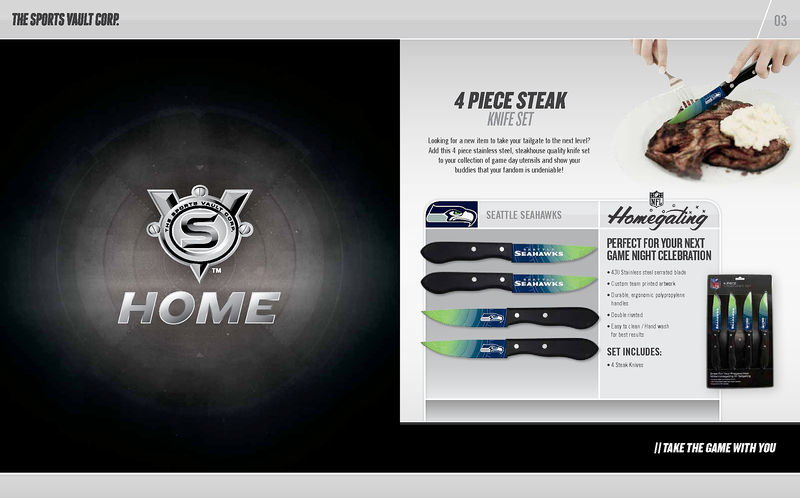 Keep a sure grip on your steak knife with the non-slip polypropylene handles, which are non-slip and soft-grip. The blades are forged from durable stainless steel that offers cleaning simplicity. All knives have been tested and passed any necessary food and safety regulations. The Cincinnati Bengals Steak Knives Set of 4 make remarkable keepsake items and gifts for the Bengals fanatic in your life. Regardless of the occasion, this unique flatware set will ensure you or the recipient stands out at the backyard barbecue, cookout, or gameday tailgate. 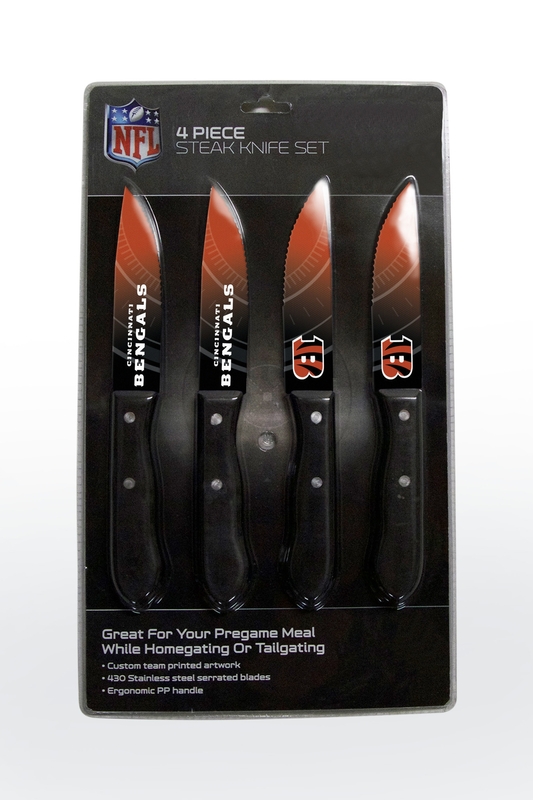 Order the Cincinnati Bengals Steak Knives Set of 4 today.